It can be adopted to your specific kitchen and working environment, regardless of size and layout. Immediate and efficient removal of food waste is necessary in every kitchen. Using Crusher, food waste can hygienically and easily be taken care of and reduce the quantum of food waste. 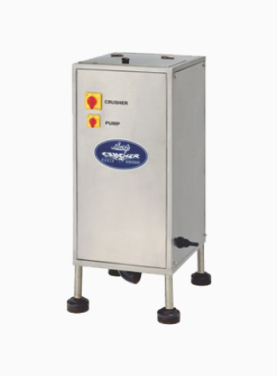 Food waste is washed down the disposer and ground in the grinding chamber into small particles for further transport in the sewage network or to a tank and possible subsequent recycling into bio gas through digestion. Industrial hazards could do more harm than bombs! Crush with Crusher! Customers hesitate doing business with polluters. For many businesses, this is a familiar, intimidating scene. Absolutely no worries! Approach us for a perfect Waste Crusher Solution! 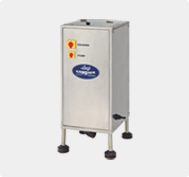 SHARP Crusher – Waste Disposer could do wonders to your business. Happy customers, better business, faster returns! We specialize in the following industries., With a focus on the unique business operations and the Crushers have been designed and developed to handle the unique needs of these Industries. 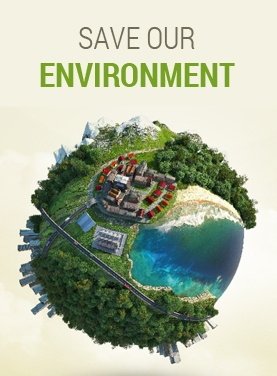 Our environment is fast becoming urbanized resulting in waste management becoming one of our critical needs.Evolving management techniques have resulted in biogas plants finding its application in waste management apart from its initial use of as a fuel source to combat wood shortages in rural areas.This is indeed becoming a significant value addition in resource management. Food waste is becoming an excellent source of biogas where useless vegetables and food waste are crushed using food waste crushers before being fed to biogas plants.